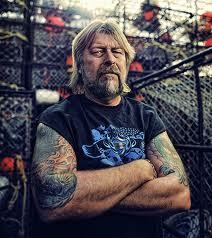 Fitting tribute over at NRO to the legendary crab fisherman, Captain Phil Harris, of the Cornelia Marie, who left us two years ago today. As my fellow Deadliest Catch junkies can attest, the show has never been the same. Captain Phil was quite a character, with many memorable one liners like “I’d rather see you than Jesus right now” – one of my favorites – as he routinely cheated death on the Bering Sea in search of opies and kings. He was as tough as nails, fighting raging seas, fighting addictions, fighting through pain, and fighting for an honest living, but as Habeeb aptly notes, unlike Wall Street, Captain Phil never fought Uncle Sam to bail him out of difficult times. He fought for a way of life, like Paul Harvey’s farmer, that too often is forgotten.